Charles G. Whittaker writes Martha Berry to ask about a position as Grounds Superintendent at the Berry Schools. 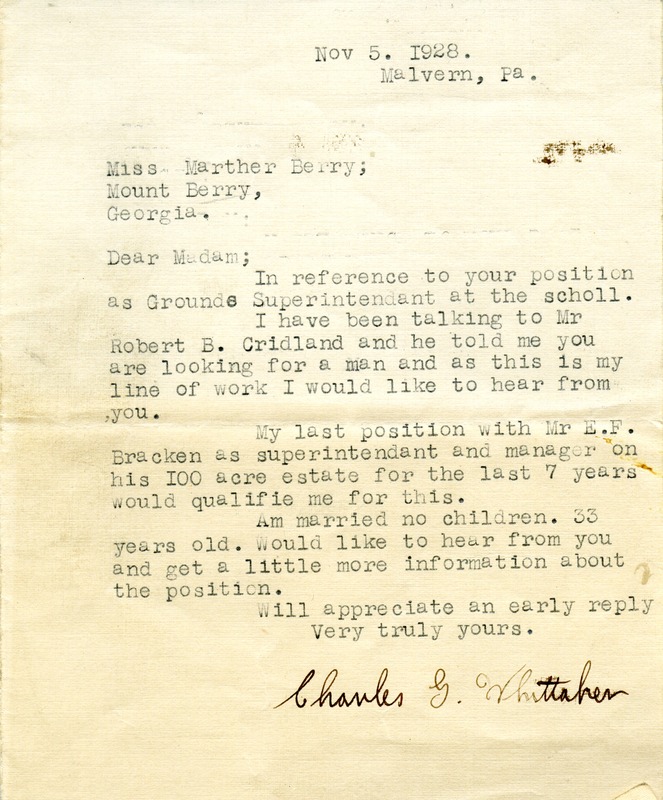 Charles G. Whittaker, “Letter from Charles G. Whittaker to Martha Berry.” Martha Berry Digital Archive. Eds. Schlitz, Stephanie A., Christy Snider, et al. Mount Berry: Berry College, 2013. accessed April 26, 2019, https://mbda.berry.edu/items/show/11339.